"There are many untapped markets as well as industries that need radical interventions" says architect Nesile Yalcin. Bomontiada is envisioned as a playground for collaboration where residents, partners and tenants collaborate on a program of cultural activities. It hosts co-generating screenings, concerts, visual art performances, food festivals, creative business conventions including creative hub and design studio, ATÖLYE. ATÖLYE space, located in this old beer factory in Istanbul, Turkey, has been redesigned by a team including architect Nesile Yalcin. 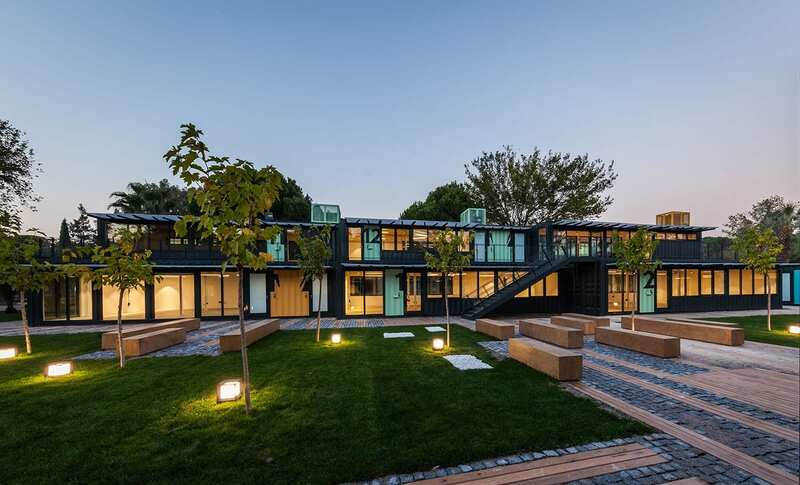 Yalcin, the architectural design lead at ATÖLYE says that ATÖLYE started as Engin Ayaz and Kerem Alper’s academic spin-off project with ties to Stanford d.school, and NYU Tisch ITP. While the former institutions provided a design thinking and social impact mindset, the latter offered digital-physical prototyping know-how and a critical technology approach. 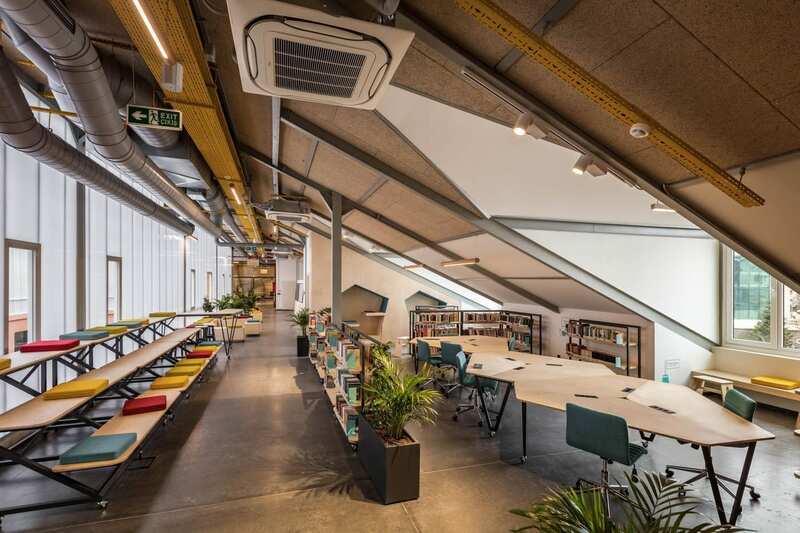 Over time, they have established a beta space in Çukurcuma, fostering a core community of 20 people and prototyping their business model as a creative hub and a strategic design studio. Later in 2015, ATÖLYE moved to bomontiada. She says that the philosophy behind the organisation is about staying curious, independent and agile in order to solve current and future problems. This philosophy will be put to the test, being based in Istanbul, in an emerging country such as Turkey where the economy is not stable. 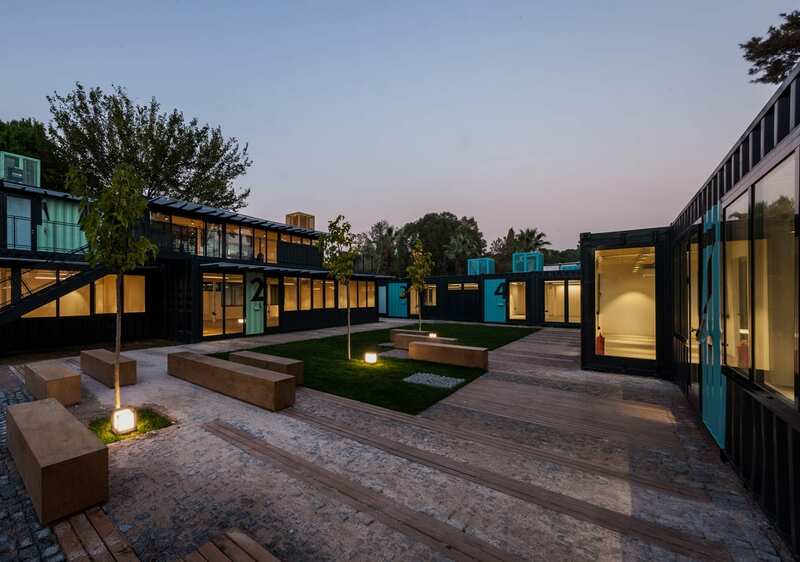 ATÖLYE has, for example, been able to work on transdisciplinary projects that include the Open Roof Space at the Private Sezin School in Turkey where an empty unused roof space was turned into a place for meeting, making, learning and working. Yalcin got her masters' degree in architecture at Istanbul Technical University before moving on to study Urban Design in Brussels. She’s also led a project called Container Park where architecture contributed not only to shaping spaces in a resourceful way, but strategically fostering a new culture of ecological sensitivity and community-driven research. Container Park sits within a technopark at a large public university campus which the team also designed. Yalcin says that their work allows them room to experiment and help bridge the gap between different fields of science. Her curiosity with alternative ways of using architecture started during architecture studies but even back then she knew that edgy, cool building design, solely, was not her thing. While Yalcin leads the ATÖLYE architectural team, Atilim Sahin is in charge of the Community and Prototyping Lab where he works with about 130 people from the community. With a background in design, Sahin helps to organise workshops and Designer-in-Residence programmes that are at the intersection between technology and design. He says that into the future they will be focussing more and more on international collaborations, while on the strategic design studio side of the team will be launching a new graduate programme for students at the Istanbul Bilgi University. He says that into the future they will be focussing more and more on international collaborations, while on the studio side the team will be launching a new graduate program with Istanbul Bilgi University, around learning, innovation, technology, and entrepreneurship.